This film speaks a lot about gender roles, comic industry, and psychology. I believe that all these elements were weaved correctly in an almost two-hour picture. I didn't expect that there'll be a chunk of discussion about love and family, and it also worked for me. Evans, Hall and Heathcote turned out to be a surprising good trio. I just wish the technical executions were handled more carefully. Well acted biographical drama with a unique mix of heady sexual content amidst an key historical superhero creation. With some social commentary to boot. Luke Evans is charismatic, while both Rebecca Hall and Bella Heathcote are alluring as his wife and their shared mistress Olive. No posts have been made on this movie yet. 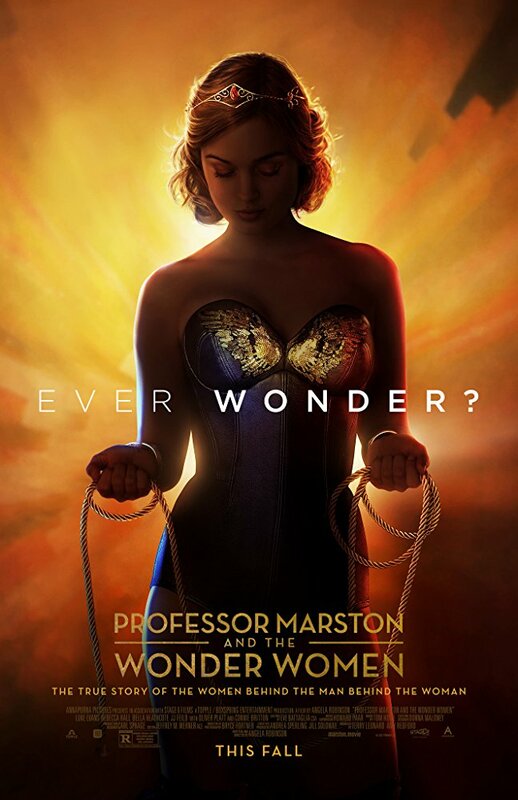 Be the first to start talking about Professor Marston and the Wonder Women!